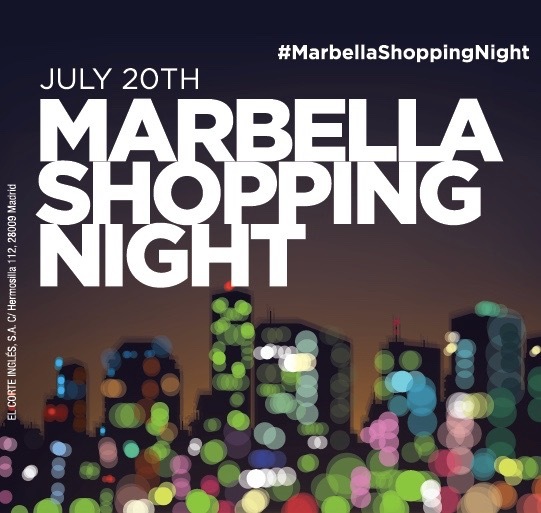 Spain's largest department store chain El Corte Inglés with branches all over the country will be opened until midnight on On July 20, 2018, to celebrate the popular Marbella Shopping Night. 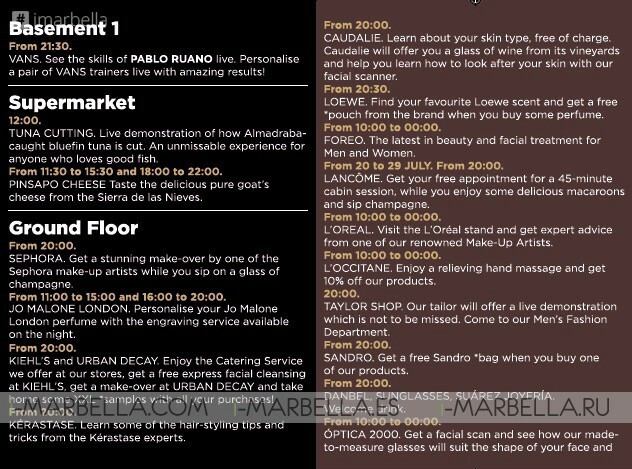 El Corte Ingles Marbella wishes to offer you a VERY special experience, they will hold live music performances on all floors, with a delicious 'Gourmet Experience', makeup demos tasting, meet up with bloggers. 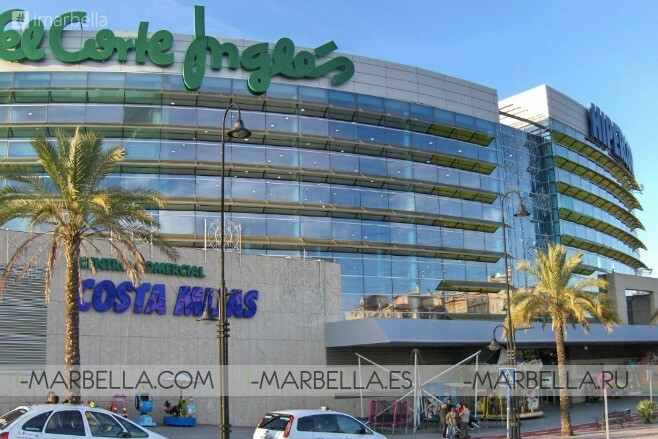 All Corte Ingles store will be open until midnight as part of this exciting celebrating for Marbella's shopaholics. Shoppers will enjoy the art of Pablo Ruano, Beauty spots, graffiti by D.Darko who will do a live performance, animations, gifts and many more surprises. On the Ground floor, Sephora offers a full makeover by their makeup artists while enjoying a glass of champagne. Get some hair-styling tips from Kérastase experts. Enjoy a relieving hand massage from L'Occitane. 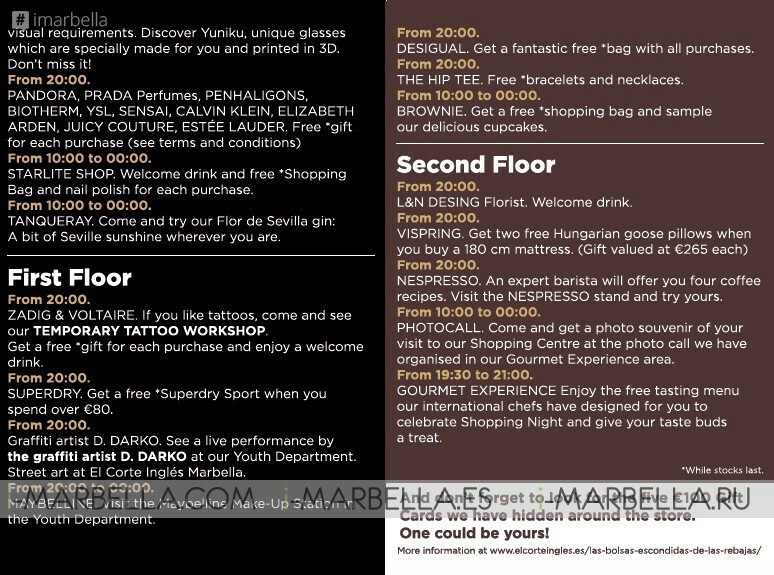 If you love tattoos there's also a place for you at the Temporary Tattoo Workshop located on the first floor. Among many more activities, you can find below. Plus there will be five €100 gift cards hidden somewhere! So pay attention, one could be yours! Located centrally in Puerto Banús, El Corte Inglés consists of six vast floors with plenty of parking available at the lowest rate in the city. Access to the store is easy with buses stopping within the ground floor parking area with routes to San Pedro de Alcantara, Marbella and Fuengirola as well as a taxi rank directly outside the store. El Corte Ingles in Puerto Banus has everything a store of this size could offer, and more, and after an extensive expansion, it is even bigger and better than before. El Corte Inglés offers a service of interpreters, speaking nine languages, a Personal Shopping Service available at shopping hour and a service that deals exclusively with Foreign residents living in Spain, The What's Hot team.